A short drive west of the Mississippi River, this town borders St. Louis’ northern edge and is home to nearly 11,000 people. Celebrating 60 years of existence in 2010, this city is a small community spanning just over four square miles. Replacing the farmlands of the past are subdivisions of post-WWII home styles. Riverview Gardens School District provides a foundation of learning for the youth of Bellefontaine, while several parks add to their outlet for outdoor enjoyment. 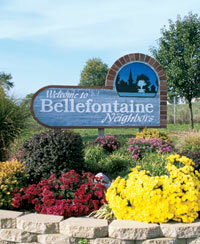 Bella Fontaine County Park covers nearly 200 acres and becomes heavily populated during the spring and summer months. The city also maintains Fountain Lake, which supports a softball center, fitness trails and picnic sites, and is frequently visited by fishermen. A Municipal Recreational Center includes such facilities as a swimming pool, meeting rooms and playing field for sports enthusiasts.